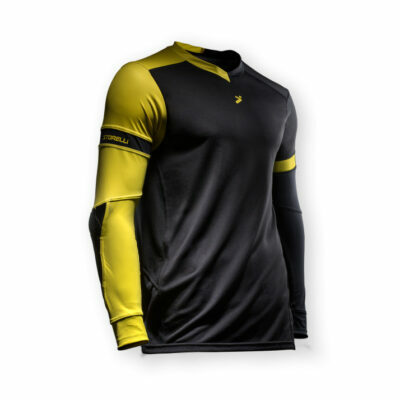 A supportive and protective cropped baselayer for female athletes playing soccer or other team sports. 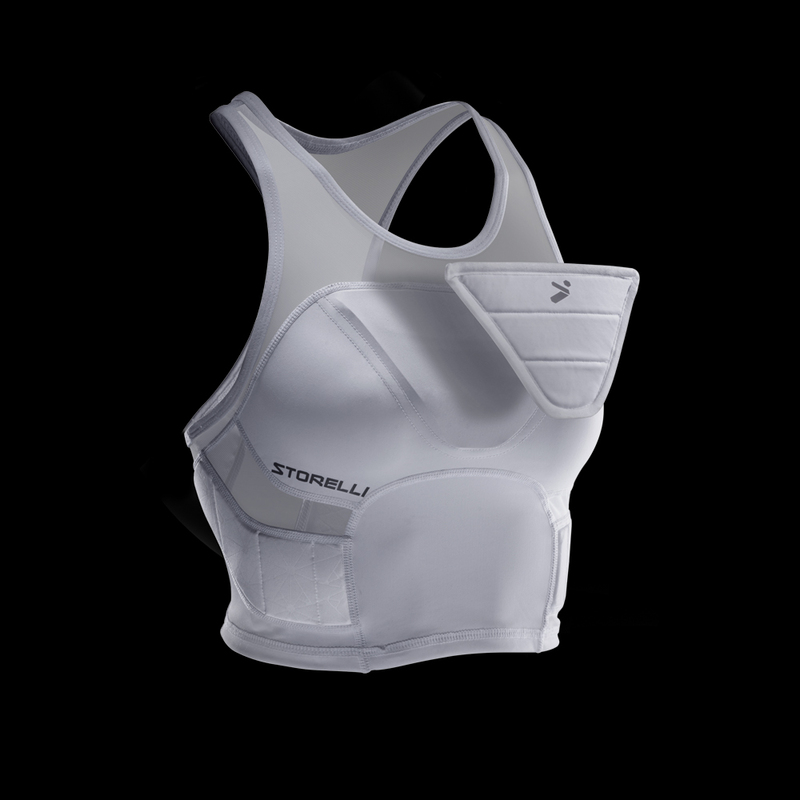 Designed with impact-absorbing, lightweight rib protection, our Crop Top also embeds an innovative, protective chest pad that can be removed based on the player’s needs. 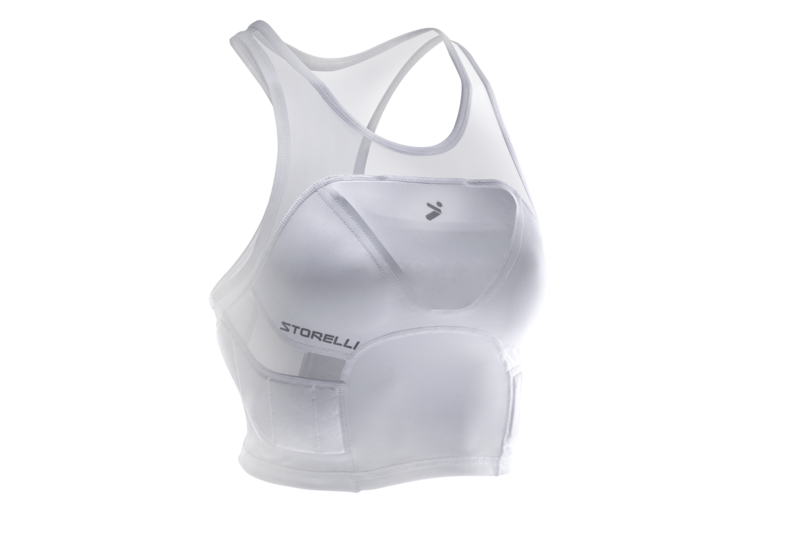 Constructed with premium microfibers and cropped length for comfort and mobility, complete with elegant and breathable front and back mesh panels. 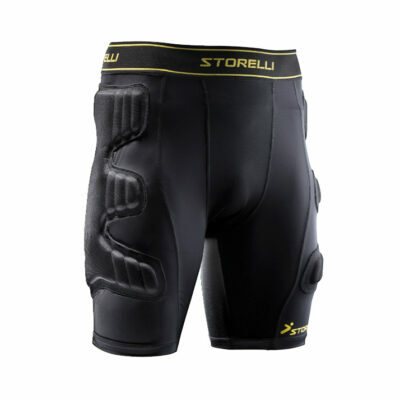 Protection located on the upper ribs and chest made with lightweight, hi-functioning material that absorbs up to 90% of impact. 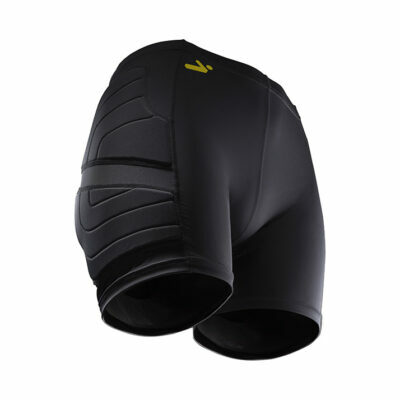 Designed for players who want extra protection when the game gets physical or for chest trapping the ball. 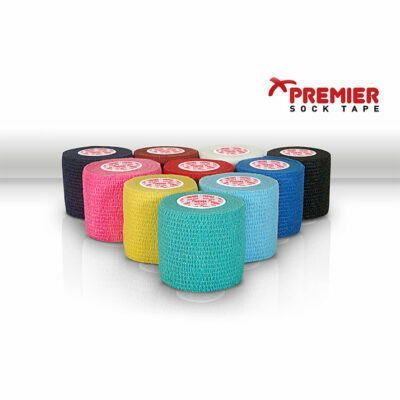 Easily removable for those players who prefer to be lighter (Storelli’s first-ever piece of removable protection). 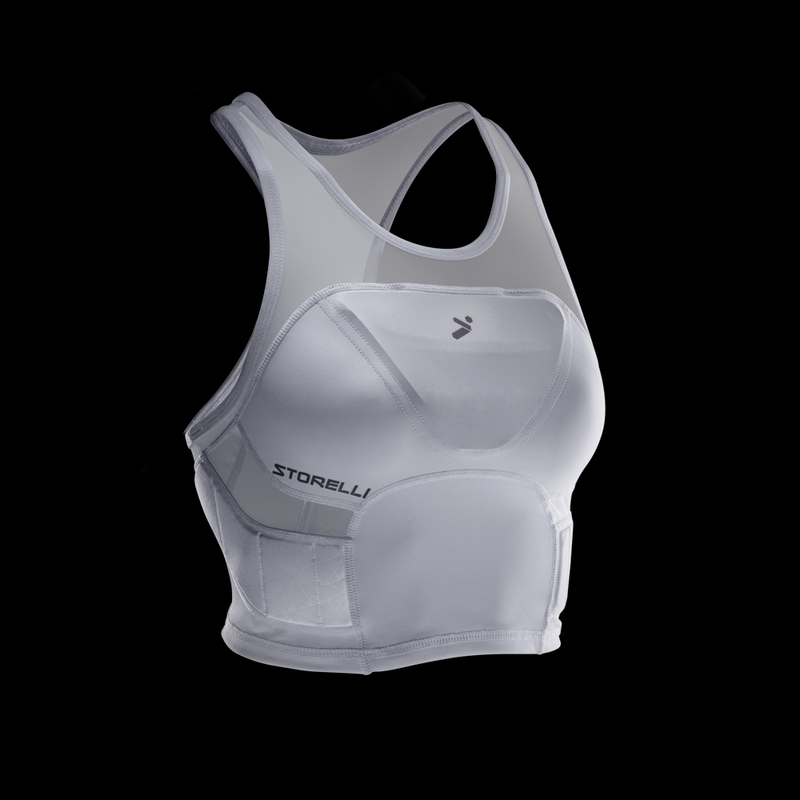 Breathable mesh panels to keep you cool. Closed mesh on the ribs keeps you cool, but covered. 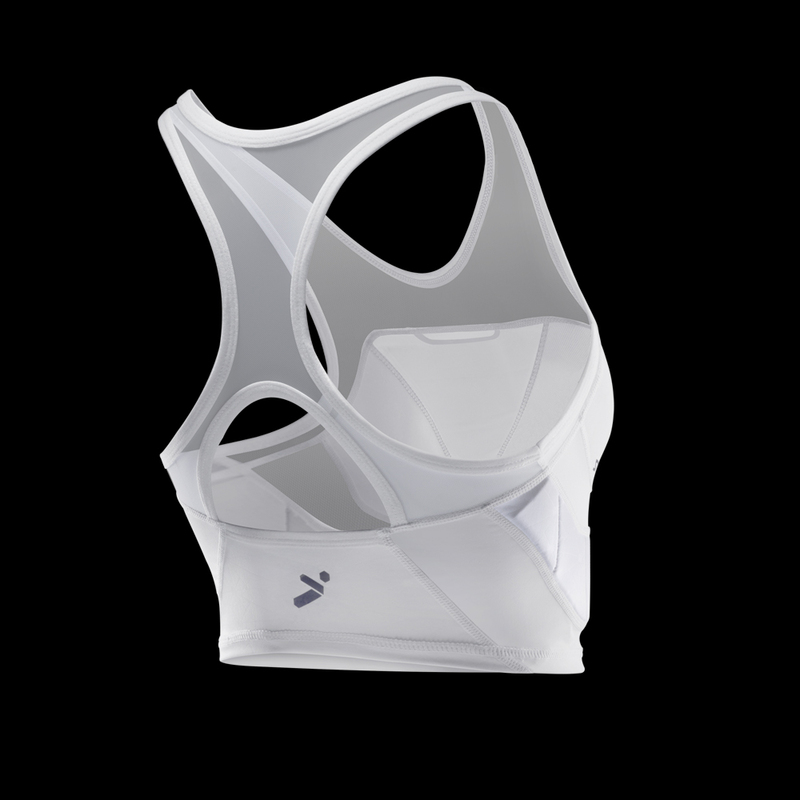 Open mesh at the upper chest and back allow for maximum cooling.